Drunk driving (often referred to as “driving under the influence” or “D.U.I.”) is a Criminal Code offence. Because of its frequency in the general population and the serious consequences a conviction on DUI charges can have, it is one of the most heavily litigated areas of Canadian law. The drunk driving lawyers at Stern Shapray, Criminal Lawyers, Surrey criminal lawyers, have extensive experience representing clients charged with driving under the influence and deal with this offence on a daily basis. “Over 80″ – This refers to having more than the legal amount of alcohol in your blood as measured by a breath or blood test. The legal limit in Canada is 80 milligrams of alcohol in 100 milliliters of blood. “Impaired” – This refers to the operation of a motor vehicle while your ability to operate the vehicle is impaired by alcohol or a drug. “Refusal” – This refers to a refusal to comply with a demand by a peace officer to provide a breath or blood sample. It is important to note that each of the three charges noted above constitutes a separate offence. For instance, you could be convicted of impaired driving even when your blood alcohol level is below the legal limit. 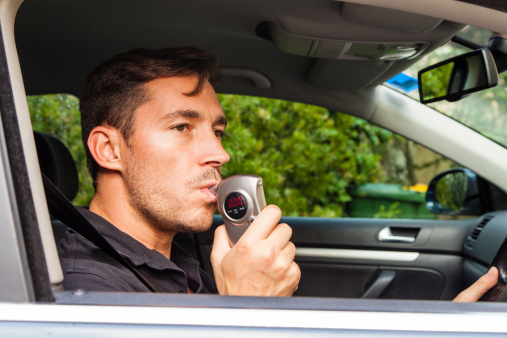 In circumstances where a driver is stopped by police and subsequently blows “over 80″ on a breathalyser test, it is common for that person to be charged with both “Over 80″ and “Impaired”. A person charged with refusing to provide a breath sample is also typically charged with impaired driving. Each of these offences carries a mandatory minimum penalty of a one-year driving prohibition and a $1000 fine if you plead guilty or are found guilty after a trial. Offences such as impaired driving causing bodily harm and impaired driving causing death are considered separate offences and carry greater maximum penalties. These offences are typically dealt with more severely by the courts. In fact house arrest sentences are no longer available upon conviction. The criminal lawyers at our firm are intimately familiar with all the available defences to drunk driving charges. If you have been charged with or are being investigated for drunk driving/DUI charges and want to discuss your case and learn your options, please contact us for a free and confidential consultation as soon as possible.